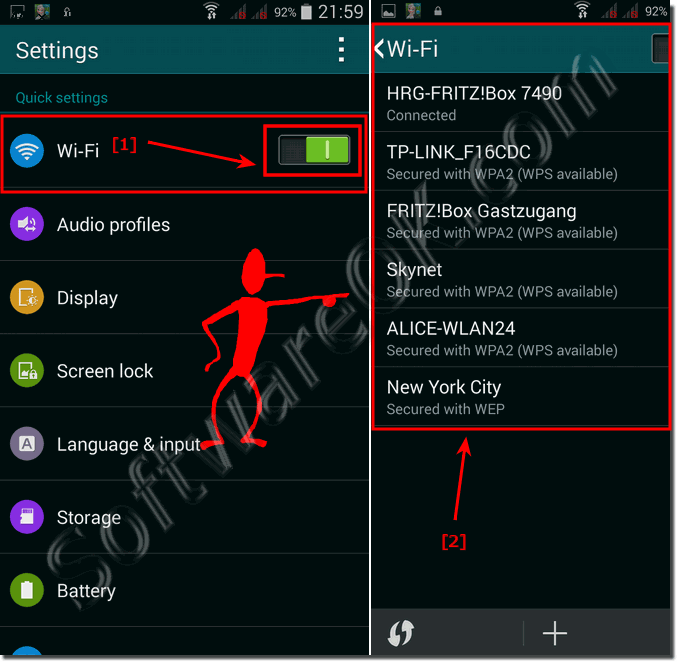 Is very easy to change the WiFi (WLAN) setting on the Samsung Galaxy! To change WiFi settings Samsung Galaxy, please open the Homemenu (Home-Page) on Your Samsung Galaxy then click in Settings on Wireless and Networks (... See Image-1 Arrow-1). See also: ... Where can I find the settings on Samsung Galaxy? (Image-1) Wi-Fi settings Samsung Galaxy!